Written entirely by West Shore High School theater students, Riot is a timely drama about community unrest and police violence. 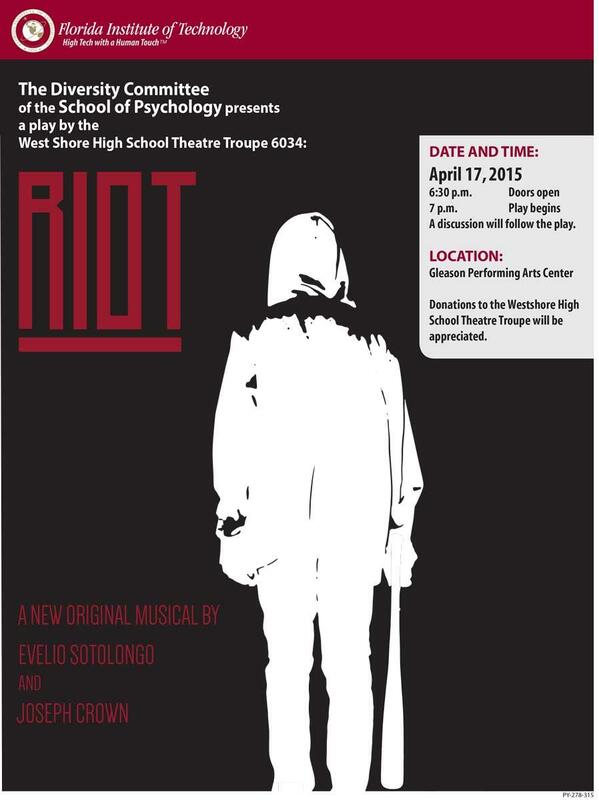 Please join the School of Psychology Diversity Committee for a special showing of the new original musical "Riot" performed by West Shore High School Theater Troupe 6034 under the mentorship of Ms. Mauren Fallon, West Shore Faculty and Theater Arts Director. Open to all FIT students, staff, faculty, and the general public!